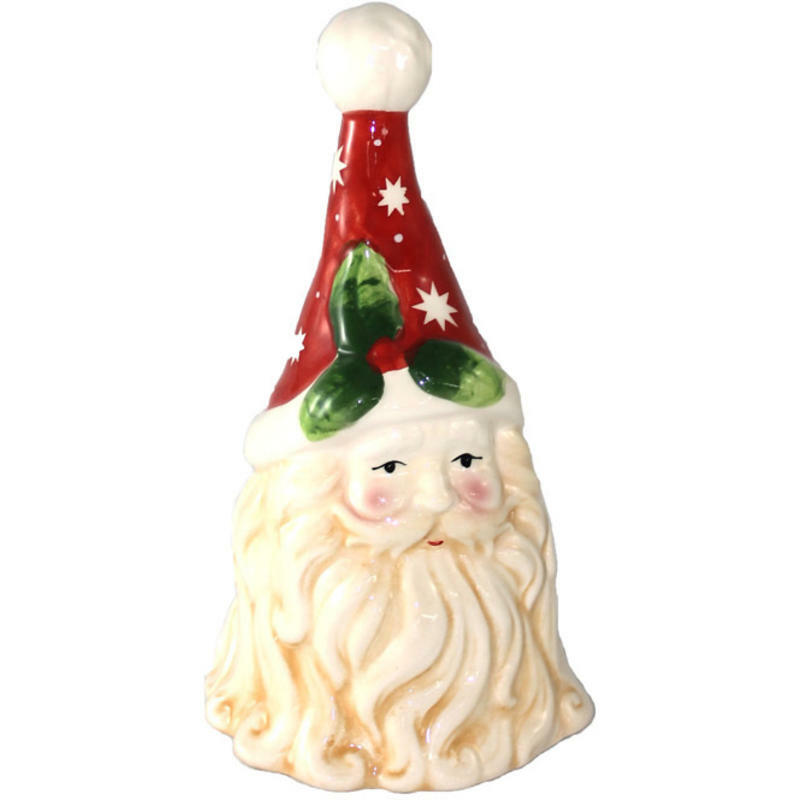 If you collect fine bells or ceramic figurines, than this delightful 19cm tall Santa Bell is perfect for you! 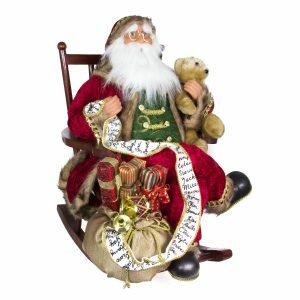 This charming Santa-inspired bell is a great touch to the home during the holiday season, or would make a wonderful addition to any collection of fine bells. 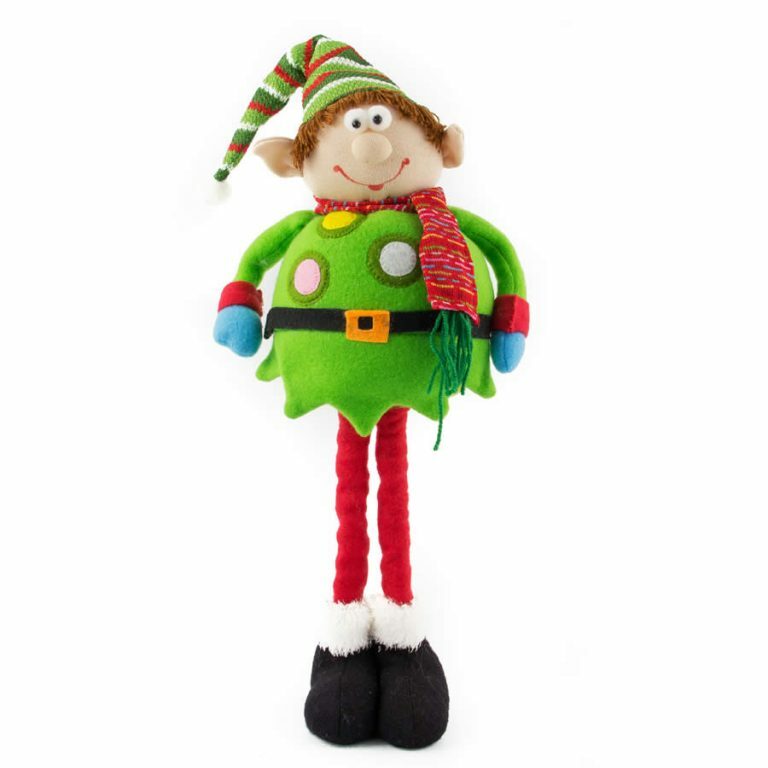 Measuring approximately 10cm wide at the base, the cheery theme of this bell will delight both young and old alike with its whimsy and unique flair. Santa’s beard is long and full, flowing down to form the shape of this bell, as you hold it by the tip of his classic red cap. 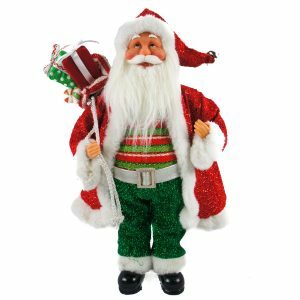 A touch of holly adds a bit of colour and interest to the surface, while the detailing gives Santa’s face a kindly, warm aura. 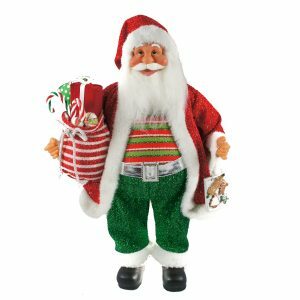 His eyes are twinkling, and the bell will provide the warm and familiar tinkling that many have come to associate with this special time of the year. Give this bell to someone dear for a truly inventive holiday gift that will be appreciated and admired.